Here’s our FPL team tips GW29 article where the 1st group of the FFGeek contributors show their teams for GW29. In this part there’s Joseph Crilley, Costas Chari, Mikael Danielsen, Alex Ball and Sergio Torija. Joe has all his chips in place. Pretty horrific stuff all in all, but I’m taking solace in the fact that the Rondon transfer means I’ve got some extra cash to play with this week! My original plan for the weekend had been to bring in David Luiz for Kolasinac who faces Spurs and United next while he also blanks in GW31. However, after watching Bournemouth and Watford’s defensive displays on Wednesday, I decided that I couldn’t go without City coverage for their next two fixtures with the natural targets being Sterling and Aguero. I favoured the former due to his midweek rest and the fact that he is easier to fit into my team structure along with his great record against Bournemouth. 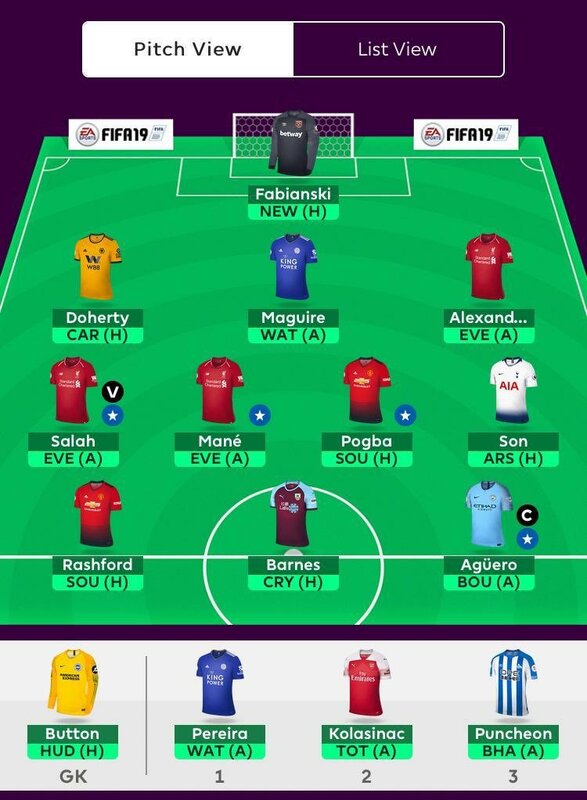 He also presents somewhat of a differential compared to Aguero and, with my rank going nowhere fast, it feels like a good time to take a bit of a risk. He is replacing Son in my team whose form has dropped in the last couple of games which meant I needed to find a little extra cash with Kolasinac to be used as funds. Ideally, I wanted to target a team with matches during the blank weeks which led me to West Ham as they have very good fixtures in the next three gameweeks. 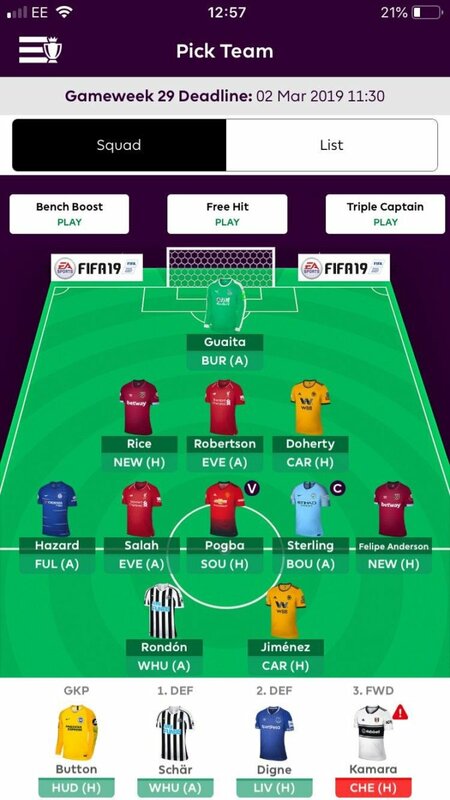 I have gone for the out of position prospects of Declan Rice who has played 90 mins in every game since GW5, though I am not expecting too much by the way of attacking returns. For captaincy, I have to go for Sterling given the fixture and he looks certain to start after his midweek rest plus the impact he made off the bench. There is also a chance that he may play in the central striker role after Pep’s comments regarding Aguero’s tiredness. Bournemouth’s record against the top 6 gives me hope of only a second double figure captain haul in 14 gameweeks! 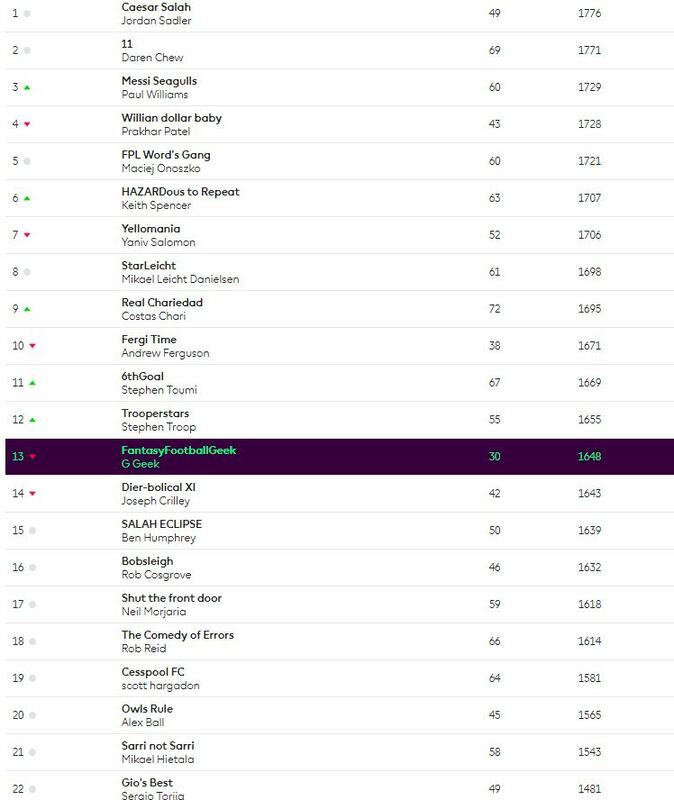 Great gameweek 20+ k green arrow on the overall rank. It was a victory for us who had Van Dijk over cheaper Liverpool defensive options. He is a top CB, a bonus magnet even in this Liverpool team and also has attacking potential. Captain- very very difficult. 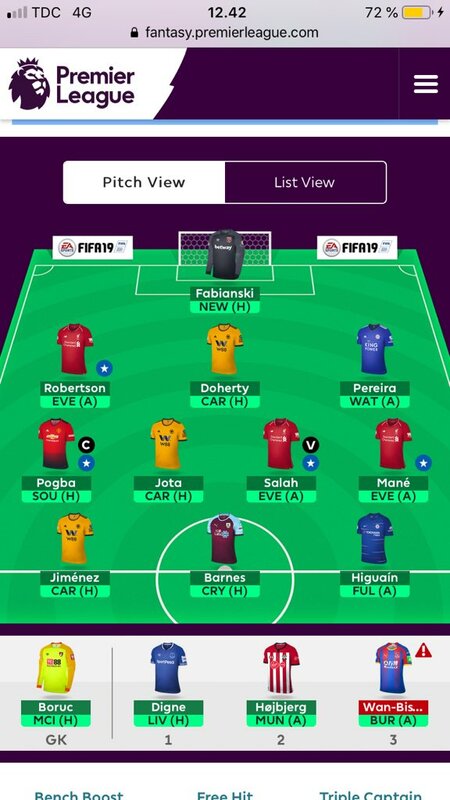 Its between 4 : Aguero currently has it but I am also thinking of Salah, Pogba and even Jimenez. Alex has played his triple captain chip. AWB fit so I went Kolasinac to TAA. Tough set of games for arsenal. Not sure if we have a captain article to follow without the poll but looking at a couple of other sites it looks wide open this week with no clear cut choice ..
Pogba 27%, Sterling 22%, Salah 17%, Aguero 14%, Hazard 9%.. I think that’s an accurate guide if you are looking for a conservative pick. You’d be fairly sure that the top 3 get 90 minutes. Pogba looks the most solid option right now with Sterling (if you have him) a close second. 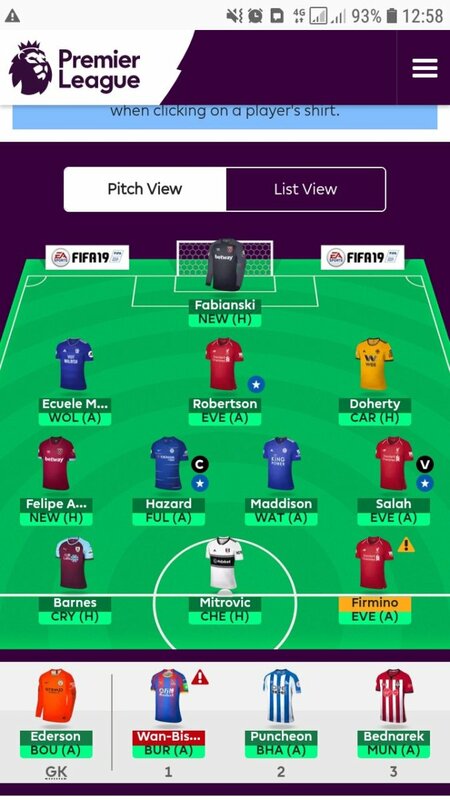 Salah out of form, Aguero possibly tired and Hazard woeful.